Madam Mayo: Antonio Noe Zavaleta's "Niño Fidencio and Curandismo" Page and the Just Published "Sagradas Escrituras"
Antonio Noe Zavaleta's "Niño Fidencio and Curandismo" Page and the Just Published "Sagradas Escrituras"
One important thing I did not know was just pointed out to me in an email by Antonio Noe Zavaleta, who is Professor of Anthropology and Sociology at the University of Texas Brownsville and co-author with Alberto Salinas, Jr of the both excellent and fascinating Curandero Conversations: Niño Fidencio, Shamanism, and Healing Traditions of the Borderlands: Cipriana "Panita" Zapata de Robles, a "cajita" or mediumnistic follower and channeler of the Niño Fidencio, entrusted Professor Zavaleta to publish the Escrituras, or scriptures left by El Niño, who died in 1938, along with further teachers channeled after his death. These Professor Zavaleta published last year, 2013. 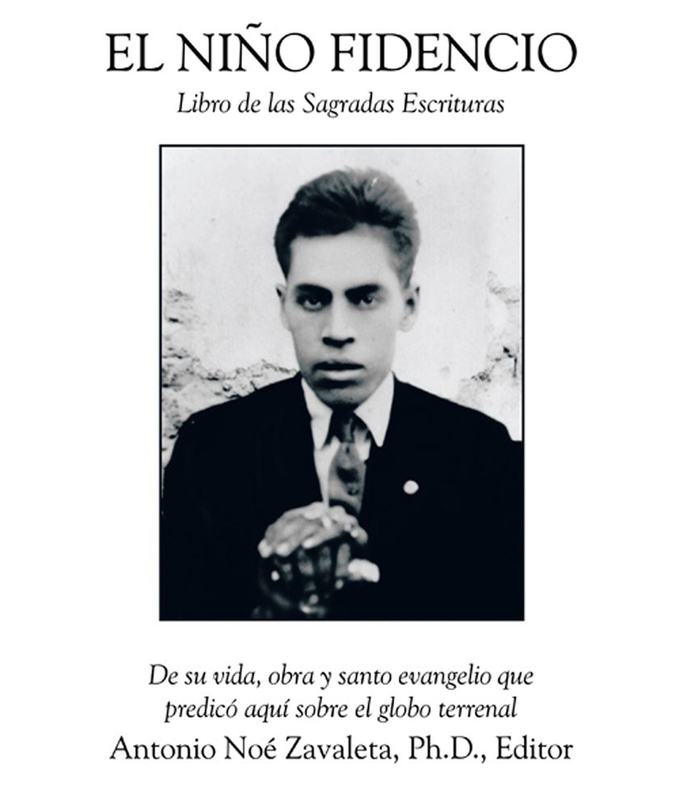 This book contains the original Scriptures or Sagradas Escrituras of José Fidencio Sintora Constanino, known as El Niño Fidencio (1898 1938). The Escrituras are the scriptural teachings of El Niño when he walked the Earth; they continued to be documented by his followers after his death. The teachings are the basis of his core-belief system which he left for all of us to read and examine. The Sagradas Escrituras have never been published before. A further note. For my book about Francisco I. Madero, leader of Mexico's 1910 Revolution and President of Mexico, 1911-1913-- and, yes, a Spiritist medium-- I've been reading about mediums for such an age that sometimes I forget how shocking the subject can be for most readers. So hey, dear reader, if you need to, just take a deep breath. I don't ask anyone to believe this or that, simply that the historical record shows that, indeed, Madero was a medium and his metaphysics had their root in a rich, deep-rooted and international esoteric matrix. Speaking of international connections, there's a book to write on the relationships among the Spiritist healers / psychic surgeons of Mexico, Philippines and Brazil-- though I'm not the one to do it. I'm back working on the Marfa Mondays podcasts and my book about Far West Texas. Coming soon: a post about the awesome (in ye olde sense of the word) rock of the Lower Pecos.